Makers of Mohenjo Daro have extensively shot in Bhuj for the film. In fact, the bigger coincidence was that Ashutosh had also shot one of his hit and critically loved films, Lagaan in the same place. The Mohenjo Daro set was constructed on the same land where the Lagaan cricket ground was made. The team was pleasantly surprised to see that the cement platform created to make the cricket pavilion during Lagaan was still there in Bhuj when they arrived for Mohenjo Daro and it continues to be there. During Lagaan, the crew and the unit of the film stayed in residential apartments as back then Bhuj didn’t have many hotels or infrastructure. However now, Bhuj has become far more developed with so many more hotels and infrastructure. But at the same time, it continues to be a very sweet ,positive, clean town which made the experience so memorable for the entire team. With the kind of vision that Ashutosh had for the film, there were about 300 crew people on set all the time during the shooting in Bhuj. Also what many don’t know is the fact that there are several localities of Bhuj who have also got cast in the film! The makers held a full-fledged audition for all the locals of Bhuj. Not just those, Bhuj Panchayat also have extended their immense support to the makers during the shoot of the film. The process was smooth enough and the makers are very grateful to them! The locals have also helped the team to create sets. Hrithik will be seen romancing Pooja Hegde on the celluloid which has also created intrigue amongst audiences. 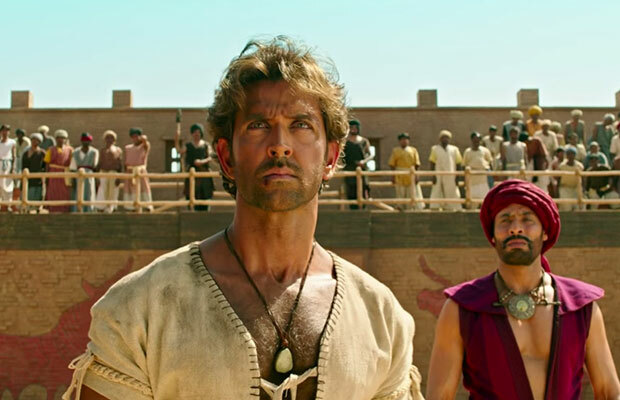 Mohenjo Daro’s trailer released and proved to be a visual spectacle, rising anticipation levels of the audience. There is a lot of excitement among fans for this release as Hrithik returns on the silver screen after a gap of 2 years. Directed by Ashutosh Gowariker, writer-director of the Oscar-Nominated Lagaan, Mohenjo Daro stars Hrithik Roshan and introduces Pooja Hegde along with Kabir Bedi and Arunoday Singh. Presented by UTV Motion Pictures and Ashutosh Gowariker Productions, and produced by Siddharth Roy Kapur and Sunita Gowariker, the film will release worldwide on 12th August 2016. Previous articleRahul Bose’s #WhenIWas13 Garners A Staggering Response! Next articleJust In Photos: Mommy-To-Be Kareena Kapoor Khan Looks Flawless In Her Airport Look!